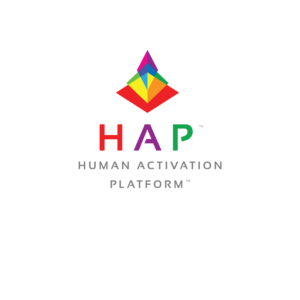 The Human Activation Platform™ (H.A.P.™) synchronizes with you and how your brain, body and way of being operates in physical reality. At its foundation H.A.P.™ is built on the science of brain waves, and utilizes state-of-the-art operational systems that include activated breath, activated word and activated motion to give direct access into the command centre of the brain, the Gamma-motor-neuron system of the body and the operational power of language. Through the correct practical application (praxis) of H.A.P.™ you have the unique opportunity to upgrade your memory architecture and, in the process, create Peace of Mind in each and every situation in life, work and business. Read about the technologies we created to make the Human Activation Platform™ possible.